We are the North Midlands – welcome! 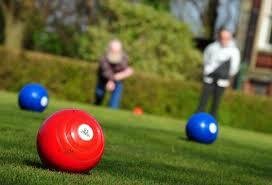 We are the North Midlands – that’s North Warwickshire & Coventry to you and me – Crown Green Bowling Association. We are the smallest County to play in the National County Competition but won it as recently as 2017! Go us. Have a look around to see how our County’s teams are doing, look to see what County organised competitions you can enter, as well as reading our full history and brushing up on the rules of association. There are links to all our affiliated Leagues including Coventry & District and Nuneaton. There are also links to Clubs and a amp showing all them in our region, together on tips on how to get playing this cracking competitive and social sport. If you have any suggestions for future improvements, please contact.